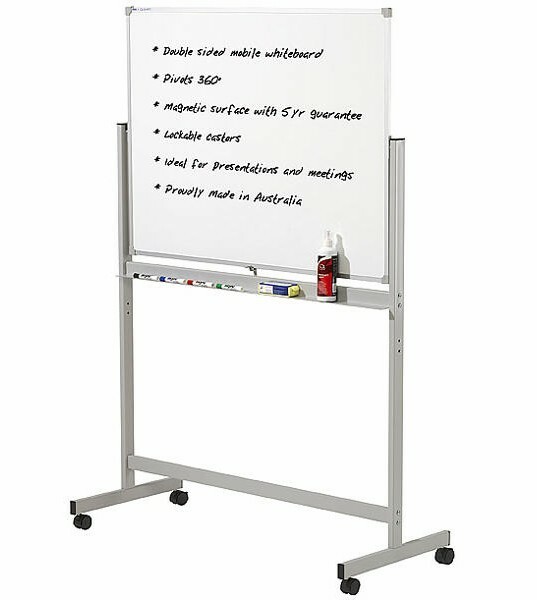 Great Ideas on the move with a Quartet Penrite Mobile Whiteboard. � Double sided whiteboard pivots 360 degrees. � Quartet Penrite Premium boards feature a 10 year surface warranty. � The commercial grade whiteboard surface erases cleanly. � The magnetic feature provides the extra functionality. � Best suited for moderate use in spaces with regular traffic. � Full length accessory tray integrated into frame.